And finally I introduce the frame which I bought from Ikea some time ago and also a painting which I painted in March. I've wanted this frame for years and only now I managed to get it. It's absolutely lovely and fits into my decor seamlessly. 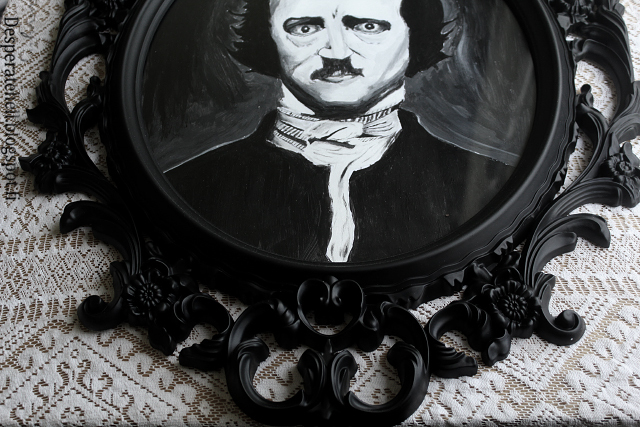 The frame was actually white but I painted it into black. And a few words about the painting. It's my first official acrylic piece so it's not perfect. Before I've used only the water colors which work totally different way. However I'm quite happy with the result. I ordered a new wall print the other day. These text prints are quite nice details even if this text is a bit too cliche to my taste. On Friday I sewed the new decor pillows. There can't be too many pads at my home. The last few days have been filled with the things to do. On Friday I met for the first time my other half's mom (these situations are always so thrilling). We visited a restaurant in the downtown. The place was new to me and I surprised positively. The menu was filled with vegetarian options and it wasn't over expensive. Good thing is also that the place is situated close to my flat so I definitely visit there more often in the future. On Saturday we went to the movies with Niina. The film which we watched was Maleficent and we both liked it. I adore Angelina Jolie. She is absolutely one of the most beautiful female actors. After the film we headed to the bars for a few drinks. On Sunday I managed to smash down my Internet USB stick. Fortunately I have the Internet connection on my phone and it can be shared. However I need to go to buy the new stick this week. I'm also sure that my laptop is going to die. This runs so slowly and yesterday there was problems with start-up. It's annoying that these machines don't work as a year or two. 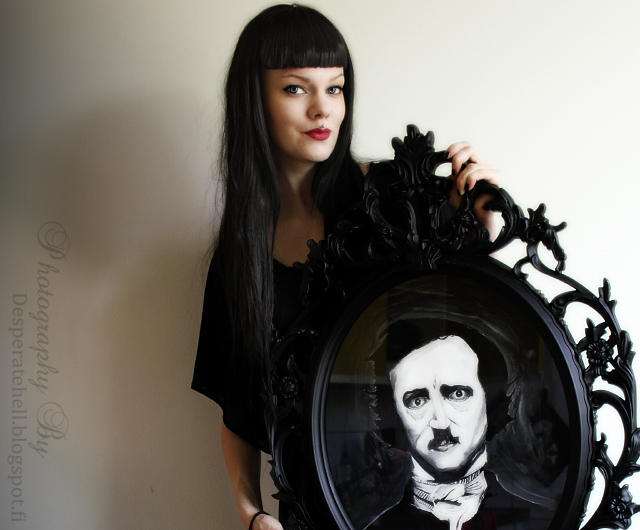 Wow I love Poe and your painting is awesome <3 I need one like this in my room ! I love the painting!! It looks fab. 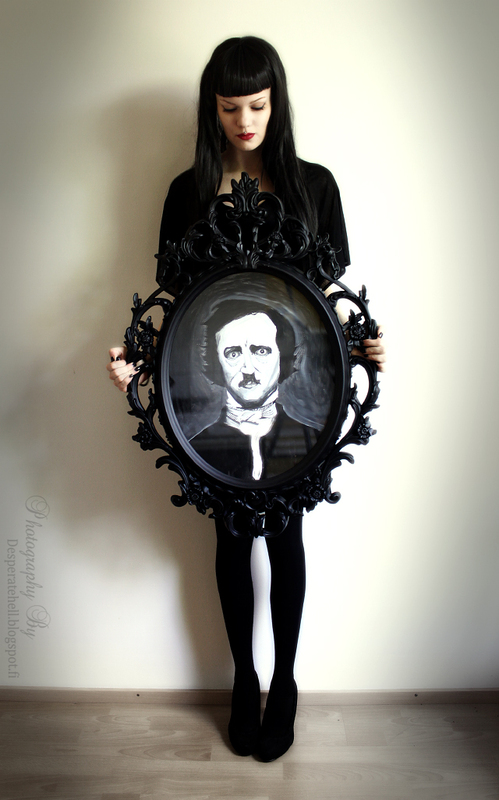 I have the same frame but your painting makes it look so much cooler! What a beautiful painting! I love Poe, and your blog is very beautiful and interesting. Only praise. Congratulations!